I’ve always loved and am for organic farming in the Philippines. Living here has never been the most rewarding of all amenities apart from the fact that we live in a very old house for free on rent. I know it is because of the fact that we have the best weather condition suitable for all plants of sorts to grow healthy even without or less the chemical fertilizers. We live in a country that’s a tropical climate and that alone is an advantage to many things. This includes vermicomposting and vermiculture and the production of top soil aids for conditioning. In line to this, I’d like to take the opportunity to announce a few important events here in our website so readers know and could get informed about trainings, seminars and other agriculture-related events. I have a list below which I took from the Bureau of Plant Industry website which you can visit here – http://www.bpi.da.gov.ph/. You can always ask the contact person above for more details regarding this training seminar event on Vermiculture if you want to ask about the venue or where the training will be held. Sponsorship and more. good day sir… i would like to have a proper training how to do vermicomposting, is there some one can advise… thanks and power…. 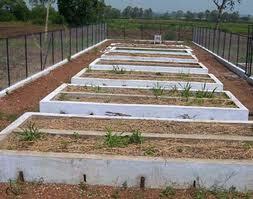 i’m very much interested about vermiculture and vermicomposting , to attend hands on training on april,2013. can i ask what the next schedule or seminar for vermicosposting ..
Hello, Raft. There is no available schedule yet on the seminar for vermicomposting but I will be announcing it here on this blog as soon as we get first hand information on this year, 2014, schedule. Sorry for the very late reply.